Join Ariel, Sebastian, Flounder and Scuttle in their world under the sea with this children's locket inspired by the classic Disney animated film, The Little Mermaid. This gold plated silver locket is designed in the shape of a shell, with a swimming Ariel visible on the front. 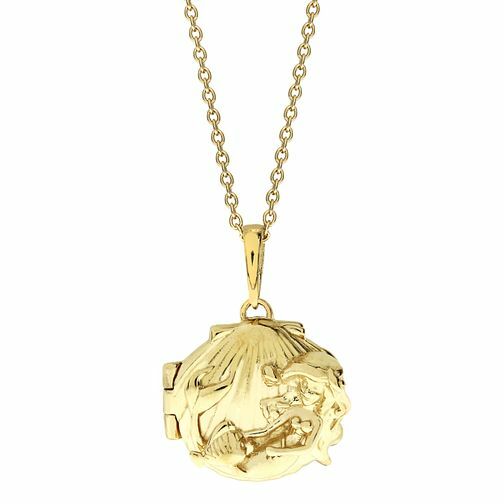 Inside the locket is room for small images and keepsakes and is set on a gold plated silver chain with an adjustable clasp.